Earlier this week, I noticed that there was a celebration of the 50th anniversary of BBC Radio Two. Today I decided to watch it on iPlayer, and have realised a few facts, some of which might be construed as interesting. 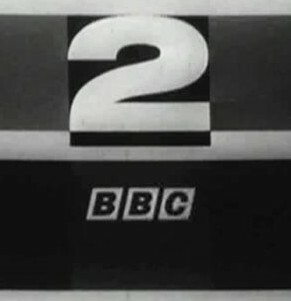 For a start, it appears it was the UK’s first HD channel, being broadcast in 625 lines rather than the 405 lines used by BBC1 and ITV at the time. I realise that now it seems ludicrous, but for 1964 it was amazing. It was also the first channel to feature late night shows on homosexuality – it’d have been a little much to expect proper unbiased LGBT shows back then, it’s hard enough now! It was a channel which brought some radical television to the UK over the years, apparently promoted by David Attenborough and Ken Clarke doing for the time, amazing documentaries and what might be seen as it’s biggest mistake, snooker. There were also (of course) The Old Gray Whistle Test, and dramas like I, Claudius which have since become part of TV history. Anyway, watch Happy Birthday BBC Two if you can find it, especially if you remember the 60s and 70s and think fondly of Arena, The Goodies, Fawlty Towers or any of the other historical shows, and think how it changed the TV landscape for all of us. Next Post: So what now?